Former Deputy Chief Constable of Lothian and Borders Police,Tom Wood. New clues linking one of Scotland’s most infamous murderers to a series of unsolved killings in the 1970s have been revealed by a fresh investigation. World’s End murderer Angus Sinclair, 71, was responsible for the vicious killings of teenagers Helen Scott and Christine Eadie in 1977. But now retired detectives who worked on the inquiry that brought Sinclair to justice say there is evidence to suggest he is behind yet more deaths. Sinclair, who raped and murdered Helen and Christine after they left the Royal Mile pub, is suspected of abducting and killing three other women from Glasgow that same year. But he has never been charged with the deaths of Hilda McAuley, Agnes Cooney and Anna Kenny. 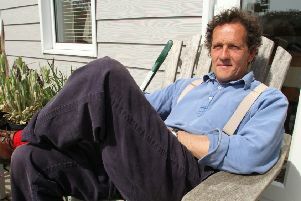 Each case was looked at as part of Operation Trinity, the investigation launched in 2004 that led to Sinclair’s conviction for the World’s End murders. None of the physical evidence from the three other murders was kept by police, meaning they could not be examined by officers. But eyewitnesses in the areas where each of the women’s bodies were found reported seeing a white camper van similar to one owned by Sinclair at the time. In 2004, police investigating the crimes were unable to find the van as it later emerged it had been scrapped the year before. Tom Wood, a former detective on Operation Trinity, said: “We missed it by six months. It lay in the back of the last owner’s house in Musselburgh until 2003. “It was a sort of restoration project and his wife persuaded him to get rid of it. He scrapped it only six months before we started looking. “What is more galling was the fact the interior fabric, carpets and seats of the van were original and had not been replaced. “Often we thought and wondered what kind of forensic treasure trove the inside of that camper van would have been. All three murders bear striking similarities to the killings of Helen and Christine, and took place around the same time. Each woman was on a night out when she disappeared and were later found dumped in rural locations. All of them were raped before they were murdered. Colin Field, a retired former Strathclyde Police detective, worked on Operation Trinity. The former detective was speaking during a BBC Scotland radio documentary, The Forgotten Women, that was broadcast last night.